September 13, 2015 – Boulder-based Sphero has teamed up with Lucasfilm and Disney Consumer Products to bring a new part of Star Wars: The Force Awakens into your home. After months of secrecy and hard work, they’ve unveiled BB-8 – the app-enabled Droid whose movements and personality are as authentic as they are advanced. In Star Wars: The Force Awakens, BB-8 is the spherical, loyal Astromech Droid of Resistance pilot Poe Dameron. Now Sphero makes it possible for you to have your very own Astromech Droid and his traits begin to shine the second he wakes up. He is playful, personable, and true to the Star Wars galaxy. BB-8 has something unlike any other robot – an adaptive personality that changes as you play. Based on your interactions, BB-8 will show a range of expressions and even perk up when given voice commands. If he is left idle for too long, BB-8 will playfully attempt to get your attention. BB-8’s advanced traitware makes all of these actions possible. This is not a toy, this is a Droid! Once the companion app is downloaded, the classic Star Wars theme ushers you into an innovative connected play experience, merging the digital world with a self-aware Droid. 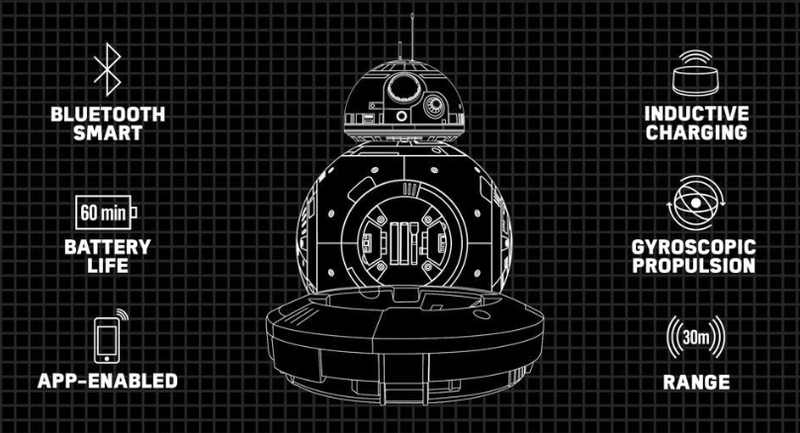 Fans can guide BB-8 with their smartphones, or let it run autonomously, create virtual holographic messages, complete missions, install upgrades, and more. It is intended for ages 8 and up. 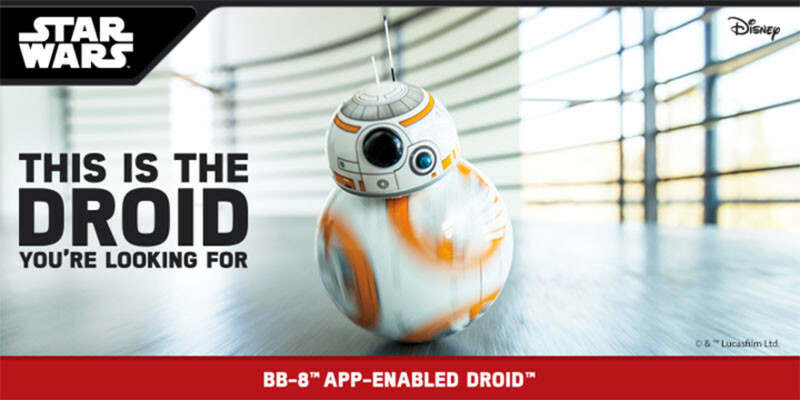 BB-8 is the latest in a line of products by Sphero that encourage kids to learn programming while having fun.